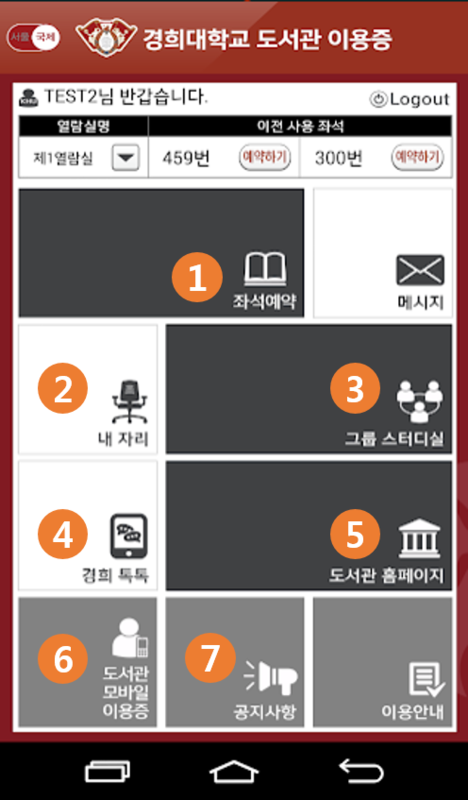 Kyunghee University Library Mobile Application provides the following services. Search and install "경희대 도서관 이용증" on Google Play. 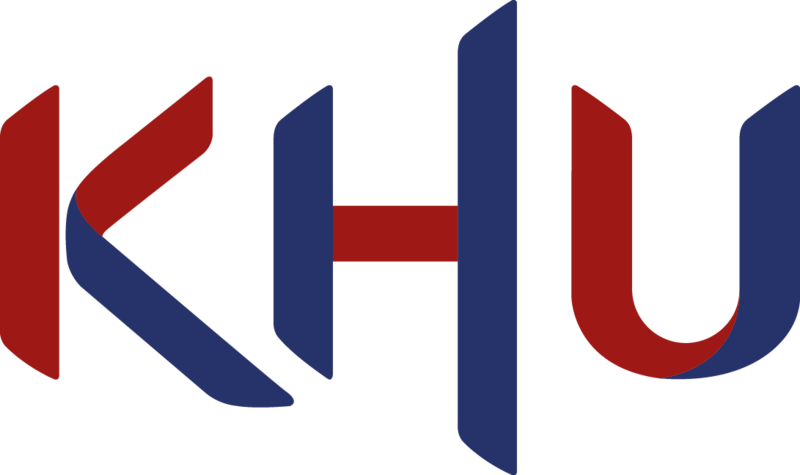 You need to login to use Kyunghee University Library Mobile App. ① Seat Reservation : You can book a seat in the reading room. ② My Seat : You can check your current seat reservation / ticketing information, group study room reservation / usage information. ③ Group study room : You can book a seat the group study room. ⑤ Library Homepage : You can use library mobile homepage. ⑥ Library Mobile ID : It can be used for reading room, access to library and borrowing. ⑦ Notice : You can check the notices about the use of the library.